Visiting exhibits—in museums, libraries, of galleries of any size—allows students and the general public to engage objects and documents firsthand. The museum, gallery, and library becomes a field site for students, where they encounter objects and artworks differently from in the classroom. Writing an exhibit review lets students practice working with individual objects and pieces as an ensemble. They will think about what an object looks like, the context of its creation and how it traveled to an institution, but also how it works as part of an ensemble with the pieces around it and the audiences that view it. Scholars have discussed objects in collections in numerous ways, thinking about their biographies and itineraries as they move through different spaces from when they were made to where they are today. During your visit to the Musée du Quai Branly Jacques Chirac for Sojourners: Mapping Black Paris (Thematic Option Core 499), you will visit the permanent collection of African art as well as the temporary exhibit The Little Explorers Box of Delights (http://www.quaibranly.fr/en/exhibitions-and-events/at-the-museum/exhibitions/event-details/e/le-magasin-des-petits-explorateurs-37728/). Your post-field site visit assignment is to write a review of either the Africa section of the permanent collection, or of The Little Explorers exhibit. Your review should be 1000 words long and include images that you take or sketches you make during your visit. Many of the African American artists that we talk about in this class encountered African art in Parisian collections like that of the Musée de l’homme and Musée National des Arts d’Afrique et d’Océanie, which contributed to the Quai Branly’s collection–among them, Lois Mailou Jones, Harold Cousins, Beauford Delaney, and Barbara Chase-Riboud. Visit the museum and walk through the entire exhibit that you intend to review, looking around you—don’t write anything down, just take in the space and the pieces you are encountering. After taking in the scope of the exhibit, walk through the space again. This time, take notes (either with pencil and paper or on your digital device). How are the objects arranged? What is the theme of the exhibit, and are they arranged, for example, chronologically or geographically? 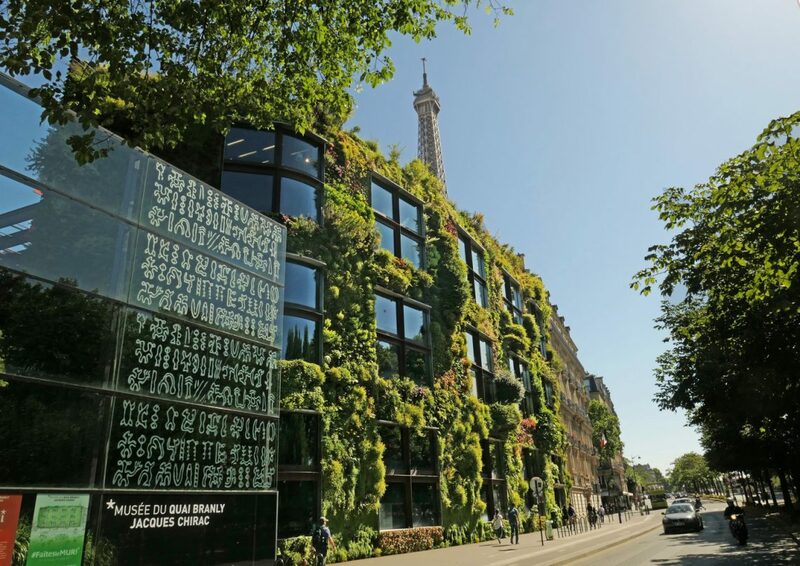 At the Musée Quai Branly, the Main Collections Level of the permanent collection is organized geographically. This collection shows roughly 3,500 pieces, so it is impossible to take in all of them in one visit. Consider how the temporary exhibit is organized differently then the permanent collection, or consider how the African art section is typical of the permanent galleries. Look at the artworks included. Why might they have been chosen to be included in the exhibition? How do they construct a narrative, and what are they meant to tell visitors? How successful are they at conveying that narrative? Who is the audience for this exhibit? Is it meant for students, the general public, or scholars? What can each of these groups learn from visiting the exhibit? Consider the displays, wall texts, and supplementary materials included in the exhibit. Are the pieces grouped together or displayed individually? What kind of sightlines are created by how the objects are arranged—is your eye led from one work to another? How did the designers use light and dark as part of creating the visitor experience? Have the curators and designers highlighted particular works—how? Why? How do the wall texts convey information? Are the didactics and labels effective at conveying information about the individual artworks and the exhibit as a whole? What kinds of supplementary materials are present—brochures, in-exhibit guides, audio guides, online materials? Do the texts aid in understanding the narratives of the exhibit, or do they contradict what you see when you look at the artworks? Finally, place this exhibit in the context of your course readings and class discussions. What are its strengths and weaknesses? In addition, take photographs (without flash) or sketch inside the museum—these images will complement your text review. Murray, Gale. Review: “Her Paris: Women Artists in the Age of Impressionism.” Nineteenth Century Art Worldwide, 17 (1), Spring 2018. Gindhart, Maria P. Review: “Musée Camille Claudel.” Nineteenth Century Art Worldwide, 16 (2), Autumn 2017. Appadurai, Arjun. 1986. The Social life of things: commodities in cultural perspective. Cambridge [Cambridgeshire]: Cambridge University Press. Gosden, Chris, Frances Larson, and Alison Petch. 2011. Knowing things: exploring the collections at the Pitt Rivers Museum, 1884-1945. Oxford: Oxford University Press. Joyce, Rosemary A., and Susan D. Gillespie. 2015. Things in motion: object itineraries in anthropological practice. Stephanie Beck Cohen earned her PhD in art history at Indiana University. Her primary research interests are the arts of Africa, the South Pacific, and women’s transatlantic networks in the nineteenth and twentieth centuries. She is the Director of University Partnerships and Internship Programs at U.S. History Scene.